The US retail sector is licking its wounds from one of the worst years on record, with 2017 marking a series of retail bankruptcies and shop closures, Toys “R” Us and Macy’s among them. Yet, as the rise of e-commerce triggers an existential crisis for the US shopping mall, the fate of the Chinese mall is moving entirely in the opposite direction. World Finance spoke to Lim Ming Yan – President and Group CEO of CapitaLand Group, one of Asia’s largest real estate companies. Headquartered and listed in Singapore, the company owns and manages a network of over 80 malls in Singapore, China, India, Japan, and Malaysia, and is continually on the lookout for more retail investment and management opportunities. Last year, CapitaLand opened a record 1 million square metres of retail space across eight developments in Asia – its largest retail space offering in a single year. 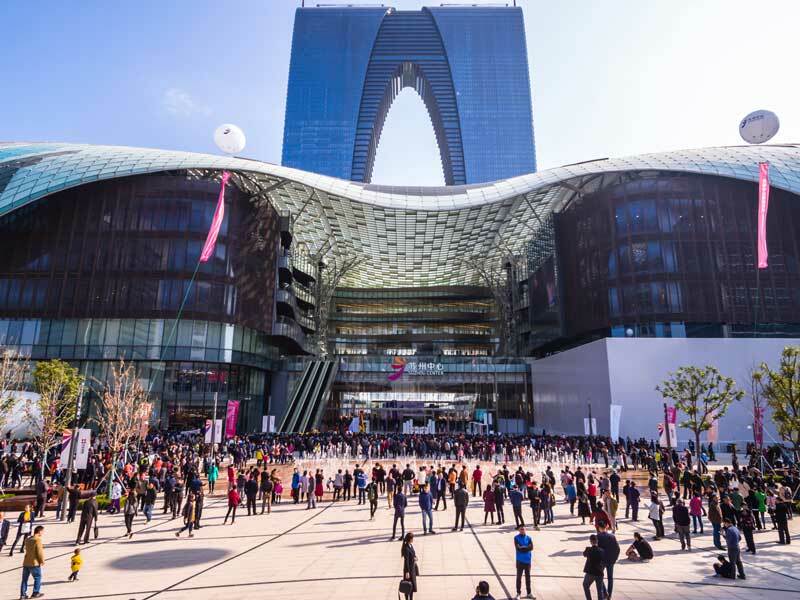 Of these, six are retail components of large-scale integrated developments in fast-growing Chinese cities, namely Shenzhen, Shanghai, Hangzhou, Suzhou and Wuhan. Instead of predicting the downfall of the mall, Lim has faith in the idea that this is a key moment for malls to be reinvented in a more modern way. Lim’s confidence is based on a simultaneous shift in consumer behaviour in China, as well as Asia more broadly, which has seen the retail sector being driven by fast-growing consumption. “In the recent update from the China Statistics Bureau, the contribution of consumer spending to economic growth has been increasing; consumption contributed 58.8 percent of the growth in 2017. This bodes well for the retail industry,” he explained. In order to serve this growing market, CapitaLand’s malls in China have been increasing the number of tenants in the lifestyle sectors such as food and drink, education, entertainment, healthcare and health fitness services. “Products such as fashion and electronic gadgets are easily available online, but lifestyle experiences cannot be replicated through the internet. Hence the market for shopping malls will be moving towards providing new and enticing physical experiences for the shoppers,” Lim explained. Suzhou Center Mall in China is an example of this strategy. Part of a mega integrated development with a retail gross floor area of 300,000 square metres, it is the largest mall in Suzhou city and in CapitaLand’s portfolio. Housing over 600 tenants, including leisure and recreational offerings such as an ice rink and a children’s theme park, and complemented by a wide collection of public spaces and gardens, the mall recorded a shopper traffic that matched the size of Suzhou city’s population of 10 million in just over two months from its opening. This is equivalent to every citizen in Suzhou visiting the mall at least once. Hot on the heels of its record mall openings, CapitaLand is gearing up for future growth by proactively reconstituting its portfolio. In January 2018, the company announced plans to divest 20 non-core retail assets, mostly in third-tier Chinese cities. Adopting a “core city cluster, dominant assets” strategy, the company plans to continue investing in dominant assets in core Chinese city clusters where it already enjoys a competitive advantage, allowing CapitaLand to better optimise its resource allocation to build meaningful scale in these core city clusters. It is in reaction to such fundamental trends in shoppers’ behaviour that modern Asian malls are being redesigned, with new malls increasingly oriented towards lifestyle and entertainment offerings. One of the most important trends is the way in which malls are merging the offline and online experience for shoppers. Malls will also be looking to capture shoppers’ imaginations through experiences, providing a wide variety of unique offerings such as indoor entertainment and lifestyle services. “We have outdoor activities, such as rock climbing, taking place inside malls and we expect this to continue into the future. Shoppers can enjoy outdoor activities in the comfort of a secure indoor environment.” Besides bringing the outdoors inside, another key trend on the rise is the popularity of workshops being conducted by retailers to teach people about their products and services. Driven by their vision of the future of Asia’s shopping malls, CapitaLand is enhancing the retail experience for the modern shopper. “We introduced the Click-and-Collect concept in our Singapore malls, whereby shoppers can do online shopping at our CapitaLand official store on Lazada.sg, and subsequently try on and collect the products at our Click-and-Collect lounges in the malls across Singapore,” Lim explained. “If they are not satisfied with the products, they can make arrangements for exchange on the spot. We are also encouraging online retailers to open their physical shops in our malls. They can have smaller spaces as they do not need to display all their products, and their online shoppers can come and try their products before finalising the purchases,” Lim explained. Specific to CapitaLand malls, shoppers can access concierge services on the CapitaStar app, which is a CapitaLand rewards programme. For instance, they can grab a ride, book a restaurant or redeem recommended deals, all through intuitive interfaces on their smartphones. Shoppers are rewarded with ‘STAR$’, the membership points of the CapitaStar programme, when they shop at a CapitaLand mall and after they have scanned their shopping receipts using the CapitaStar app. In Asia, CapitaStar has close to five million members, of whom about four million are in China. “Shoppers like the convenience of accessing the services they need on the go. We have also recently signed a memorandum of understanding with China UnionPay to launch cashless payment in China through CapitaStar. We expect this trend of where shoppers move seamlessly between online and offline to impact how malls in the future are designed and managed,” said Lim. The change in the nature of the mall towards an experience facilitator is also fuelling a parallel trend. “Shopping malls will increasingly become social spaces where shoppers seek experiences beyond traditional shopping. Shoppers appreciate well-designed public spaces to socialise as their personal living spaces become smaller in many cities. Due to changing demographics, increasing urbanisation and changes in China’s one-child policy, people need more services like healthcare and education. There is also a growing trend for mixed-use developments that enable people to live, work and play in one central location. In other words, malls will increasingly become the physical space for people to congregate,” Lim noted. This provides an excellent opportunity for CapitaLand, whose real estate expertise stretches across malls, serviced residences, commercial spaces and residential developments. The company has leveraged this experience to create a ‘city within a city’. Being a part of integrated developments enables these malls to tap into ready catchments of residents, working professionals and travellers who live, work and play all in one location. For instance, CapitaLand’s Raffles City integrated developments are designed to be futuristic urban hubs located within business or cultural districts in global gateway cities. One example is the ‘Raffles City’ of Hangzhou in China, which is directly connected to the subway, and comprises a shopping mall, a Grade A office tower, an Ascott serviced residence, a hotel and numerous apartments. Each Raffles City development varies in composition, but they are consistent in offering quality finishes and facilities. At the forefront of transforming the built environment through their master planning and design capabilities, CapitaLand’s developments create a glimpse into a future where urban life has been reinvented through the smart use of technology and social space.